We get requests for help on social media sometimes so I wanted to create this discussion for below ... and feel free to add future requests in comments so we can lift our first responder brothers and sisters in prayers. 15-Apr-2019 - We just learned Indiana firefighter Clyde Massengill died last Friday (12-Apr-2019) in a tragic accident at the age of 36. Massengill was a tow truck driver, a Red Cross volunteer, volunteer firefighter for Johnson Township (IN) and an ambulance driver for Michigantown. He was also a Skywarn storm spotter and a ham radio operator. Clyde was a father of 3 young girls, but had no insurance so family and friends have setup a Facebook fundraiser to give this servant a proper service and to lighten the burden on his family. Services are Thu April 18, 2019 from 1 to 3p at Goodwins Funeral Home in Frankfort IN. Please keep his loved ones in thoughts and prayers. 18-Mar-2019 - Brian B sent the following request for his friend Dave ... On the early morning of March 14th 2019, Volunteer Fire Captain Dave Smiley Jr. of Minquas Fire Company in Newport DE, sustained 2nd and 3rd degree burns on ~10% of his body after a floor collapsed and he got trapped. Capt Smiley will be at Crozer Burn Center several weeks (or more) to recover, and a GFM Page as been setup if you'd like to help with medical and living expenses and to stay current on updates. 19-Mar-2019 - Cody R shared a praise report today on Justin Santiano! They were able to take Justin off the paralytic meds and he is handling it well. They upped the vent to 100% and will gradually try to work him down. He is still in a coma and will be for a while. The best news I got today was that barring complications they expect him to LIVE!!! It is going to be a very long road ahead of us. He will be hospitalized for quite a while depending on how his body recovers. His lungs are still full of Pneumonia and his lungs sustained some real damage. They say he may have to learn to walk again. A lot of the activities he used to do or was planning to do won’t be an option anymore. Even when he does leave the hospital he will most likely need rehab and could be on oxygen support for a long time. This is going to mean a lot of traveling, missed work, and leaning more than ever on the ones we love and especially God. Thank you all for your support but Please continue to keep his family in your prayers during this arduous journey. 17-Mar-2019 - Second update today: Justin has just continued to get worse even in the coma because he was fighting it and trying too hard to breathe for himself. Normally, that would be a good thing but with his lung damage was making things worse. So, doctors put in a central line and have paralyzed his whole body. That way doctors will be 100 % in control of his breathing. They asked that he be left alone as much as possible so he won’t be overstimulated and his brain can work with his lungs for better healing. At this time, no visitors are allowed. If and when he is able to have visitors we will let you know. Please continue to pray. My heart is in a million pieces and I feel like I’m dying inside. Please keep praying for them! 17-Mar-2019 - UPDATE on Justin Santiano ... Last night Justin took a turn for the worse. His fever wouldn’t budge and his oxygen dropped into the 70s with the vent. He had to have some major help from the hospital respiratory team and after hours of suffering they were able to get his levels back to a decent range. His lungs have sustained damage due to this illness and the initial intubation. He is not responding to the multiple antibiotics he is on. They are getting ready to place him back in a coma so they can let his body rest and hopefully lungs repair. 13-Mar-2019 - Ashley P. asked us to share this ~ According to the GFM link, on March 10, 2019 Tim (LEO) and Jennifer (kindergarten teacher) Vincent received news that every parent dreads. 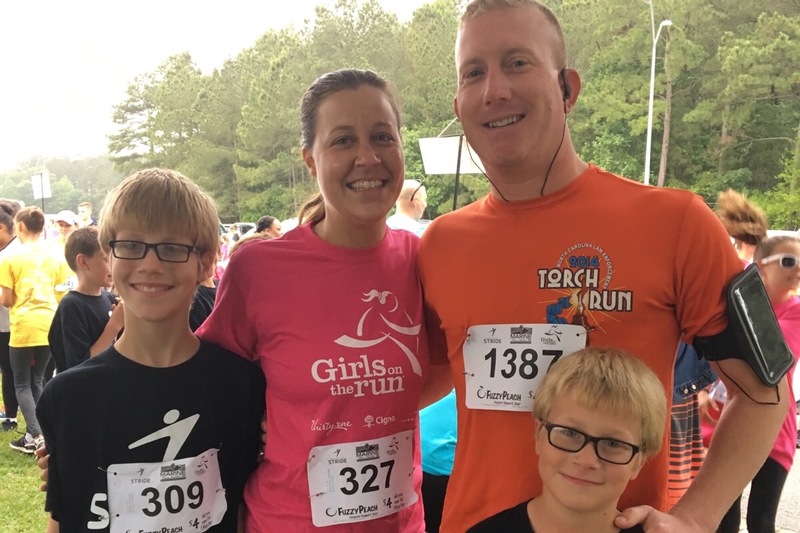 Jaimie, their 13 year old son, was suddenly and unexpectedly diagnosed with a brain tumor after experiencing a headache and nausea. Jaimie was airflighted to Chapel Hill Hospital where he had surgery and, as of today, he's now recovering well and getting lots of rest. Still awaiting some results and a update will follow as soon as possible. Please keep Jay and his family in thoughts and prayers and learn more and how to help here. 7-Mar-2019 - Captain Kevin Sandifer is a 13 year veteran of the City of Columbia Fire Department. His close friend (Stephen H.) said Kevin is recuperating from recent brain surgery where they removed a tumor. According to the GFM link, the recovery time has forced Kevin to take an extended leave of absence at work. Along with the medical leave comes a loss of income, an increase in medical expenses, and an undeserved volume of stress. Please keep Kevin, his wife Jaci and their 3 young children in thoughts and prayers and learn more and how to help here. 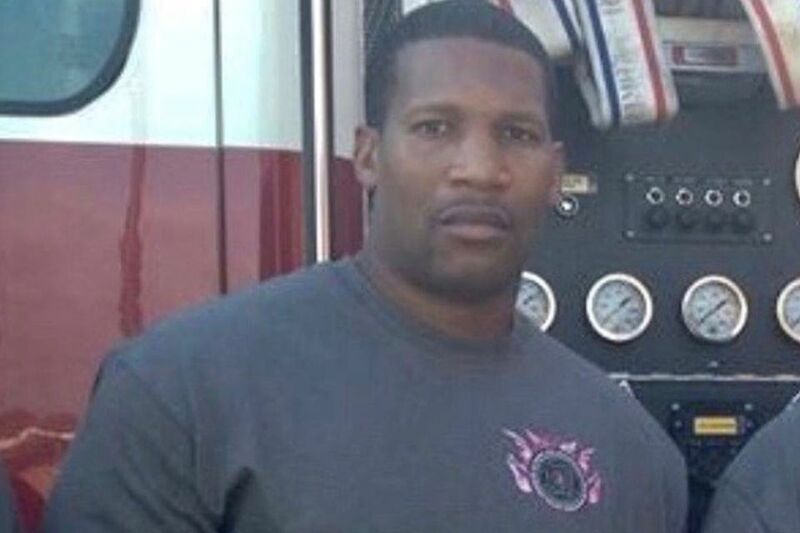 30-Jan-2019 - Requesting prayers for Lt. Jerry Presley of Tarrant (AL) Fire and Rescue who was critically injured during a Sunday-morning house fire. Presley, 47 and 18-yr veteran of TFR, fell off a ladder, dropping at least 12 feet to the ground below suffering a C-3/C-4 spinal injury, brain trauma, and an arterial injury in the neck. One of my dispatchers has been diagnosed with a left sphenoid wing meningioma. This brain tumor is scheduled to be removed February 8th (2019). Please keep Sarah Jackman in thoughts and prayers. Thank you for adding this service and making it a visible part of what we do as a team and organization. I would add that everyone is welcome to request prayer for themselves or others and if confidentiality is of concern, one can always submit as "anonymous" by private message to staff or myself for publication. As of Tue (29-Jan), Presley remains in Neuro Intensive Care Unit at UAB Hospital awaiting surgery to stabilize his spinal injury. Surgery delayed while they stabilize his cranial pressure and monitor a fever. A GoFundMe is here … and please keep Jerry, his wife Tan, their 3 children and loved ones in thoughts and prayers. Also continue to send prayers to all first responders injured and lost recently ~ we've been posting prayer requests for LODDs and accidents almost daily lately on USFRA Facebook page too. Stay safe all..! Prayers are being lifted up for Kevin and all our first responders every day. 13-Mar-2019 - Please keep Tim (LEO) and Jennifer (kindergarten teacher) Vincent's 13-y/o son Jaimie in prayers as he recovers from surgery to remove a brain tumor a few days ago. As of today, he's recovering and awaiting updates ~ more in main post above and on their GFM page. Lifting up prayers for this family.